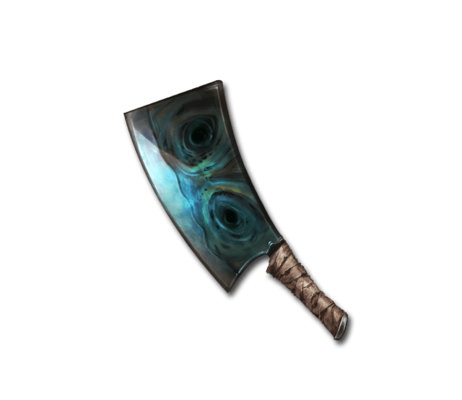 This abominable butcher knife came out of the furnace with a pair of eyes too devilish to be that of any skydweller's. It cleaves through flesh in a single stroke, drinking in the marrow of all bones it splits in twain. As such, people simply refer to it as a demon. Exsanguination Massive Dark damage to a foe. This page was last modified on 2 December 2018, at 14:33.